In this Transformative Age, we can expect a fundamental shift in everything we know — from the speed at which these changes are taking place to our increasing reliance on connectivity. 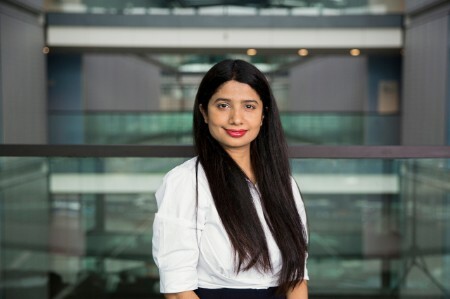 Aparna supports EY Global Advisory services, working closely with the leadership to implement PR and social media initiatives around key areas such as cybersecurity, internet of things, risk, blockchain, intelligent automation and artificial intelligence. She has diverse experience in external communication, having also worked for EY in India and believes in collaboration and co-creation between the teams to create better working businesses. Previously, Aparna focused on the buyer program at EY in India, where she was responsible for the launch of the EY CFO Connect & Board Members program. She holds a master’s degree in Media and Communication from EFL University, India. As a mom to a young child, Aparna regularly has conversations with new working mums in her local community on how to balance work and personal life.